With Fall just around the corner, Fall crafts and recipes will soon be on the rise. 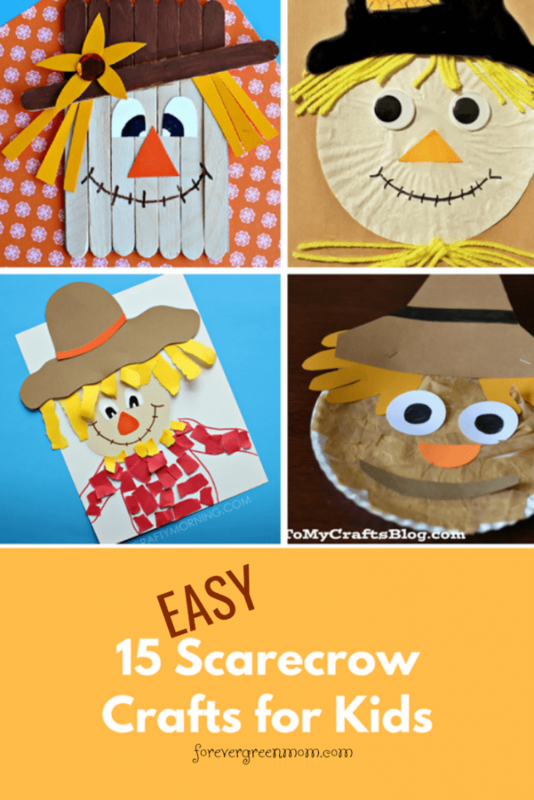 Scarecrows are one of my favorite parts of the season, and one of the cutest crafts to make. Grab the kids and your supplies! Oh, how many of these 15 easy scarecrow crafts for kids can we get done? Scarecrows make the perfect decoration for the home, and they make great crafts for kids to make. They are easy, practical and fun! Whether you’re trying to take a break from making pumpkins and Halloween crafts, or just looking for a festive Fall craft, your kids will love these scarecrow crafts! Here’s one of my favorites. I’m told not everyone likes to make crafts with toilet paper rolls, but I do. As a matter of fact, I made my own craft a couple of years ago, and I’d love to share it here!! But first, look at this one. It’s #9 above. Cute, uh? Okay, here’s mine. These are K-cup holders. The holes on the ends are the perfect size for coffee pods! Click on photo to take you to the post. These 15 easy scarecrow crafts for kids will, sure enough, keep them busy throughout the season, but if you’re looking for more crafts to do that are “fall-ish,” here’s a few more on my blog.